687 recreational vehicles formed a convoy that measured almost 20 kilometers in length – a new world record! 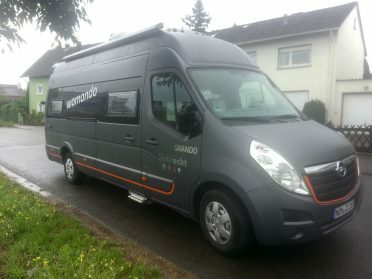 Among the drivers in Walldürn, a city in the German state of Baden-Württemberg, was Opel employee Andreas Möritz, driving a Womondo Grando, the new RV brand based on the Opel Movano. Andreas Möritz works in Rüsselsheim as a CAD Designer in the Engineering Propulsion Systems department. 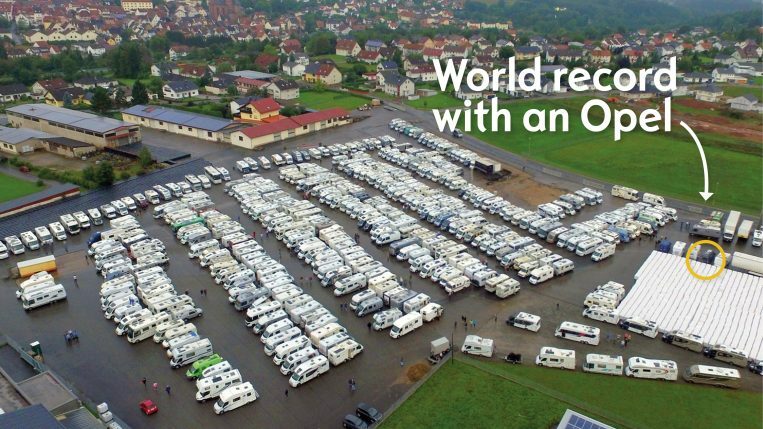 Mr. Möritz, together with your son in a Womondo, you took part in an attempt to break a world record for driving in a convoy made of RVs. How did you decide to get involved? I’m a passionate camper and an Opel Brand Ambassador for the ‘JumpStart’ employee initiative. When I read about the attempt to break the world record, I immediately thought that we could present Opel well at this event – in particular, the new Womondo RV brand! My colleagues from the Light commercial vehicle department got in touch with the manufacturer, the Opel Siebrecht car dealership in Uslar. Over at the dealership, they were so excited about the world record attempt that they provided us with a Womondo Grando. It was 6.85 meters long, featured 2.3 BiTurbo CDTI and 163 hp – perfect! 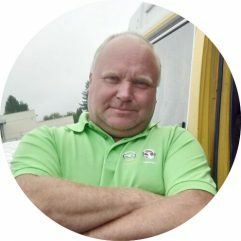 How was the Womondo received at the event, where hundreds of RV drivers were present? We were a real highlight: People kept coming over and striking up conversations with us. After all, the RVs based on the Opel Movano are new on the market. I handed out a lot of brochures. Fans of utility vans were particularly impressed by the interior. In terms of equipment, the Womondo has it all. From decor, to trim, to leathers, to floors – customers can put it all together to their heart’s content. The Womondo is a highly customizable model; it’s the ADAM, if you will, among RVs. New brand in RV heaven Based on the Opel Movano, the Womondo is currently available in two different models with different lengths, bed orientation, and functionalities. The interior of each RV can be customized. Another model based on the Opel Vivaro will premiere at this year’s CARAVAN SALON in Düsseldorf. I think it’s great! The Womondo was made by people at the plant who know what you need when you go out camping on four wheels. From the heating through to the bathroom setup, the technology and the design are perfectly thought through and cleverly integrated. And the visual appearance is stunning, of course! It’s basically a fancy living room on wheels. And I must admit – without being jealous – that it’s much more fun to drive than my own RV. How did the attempt to break the record go? From a small T3 VW camping bus through to a 10-meter luxury Concorde model, the 20-kilometer-long convoy had it all! The official observers confirmed that 687 RVs were driving in the convoy and that we therefore reached a new world record. Unfortunately, it wasn’t included in the Guinness book, since the convoy came to a standstill due to an unplanned ad campaign on the road. The mood out there was still great, though. Nobody can take the participant world record away from us! And we’ve already decided that we’ll make a second attempt to get into the Guinness Book on 15 September 2018. Maybe we’ll even manage to put together an Opel convoy with a number of different models. I’d love it if even more colleagues driving RVs would take part! Based on the Movano Those who don’t want to have to wait until the next world record attempt can see the Womondo up close at the CARAVAN SALON in Düsseldorf, Germany, from 26 August to 3 September.